We provide online reputation management services (ORM) to businesses and individuals dealing with negative online reviews. We deploy our expertise to build powerful reputation safeguards for commercial and personal brands to protect your brand’s future. We use proprietary techniques to suppress and/or remove negative listings. 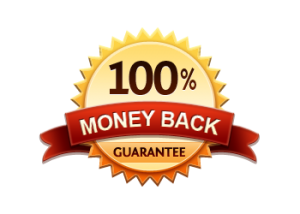 We offer 100% money back guarantee for our removal services. Some of the sites we offer services for include: yelp, thedirty, ripoffreport.com, complaintsboard, scambook, scam.com, complaints.com, reportcheater, exposecheaters.online, badbizreport, badboyreport, reportcheatingwife, datingcomplaints, shesahomewrecker, predatorelerts, predatorwatch, pissedconsumer, bustedmugshots, and other complaint and mugshot sites. Based in Los Angeles, CA, we have an experienced team of digital marketing professionals specializing in online reputation management (ORM). We are proud to offer the expertise of our in-house social media experts, content writers, optimizers, and link builders. Our staff is ready to manage your reputation — we guarantee full satisfaction and results.